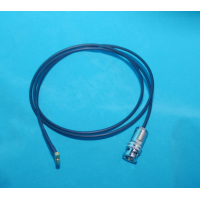 Features Converts coaxial SSMC (female) connection to SMA (male). Triaxial Bulkhead Jack feed through adapter. Features Triaxial Bulkhead Connector (female to female). Minimum quantity for "76LWA Litz ground wire" is 1. Triaxial BNC (male) to 2 ea triaxial BNC (female). Features Triaxial Tee Adapter 3 lug. Includes one male to two female connections. 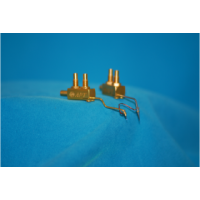 Features Adapter for converting coaxial SSMC (male) to SMA (female) adapter.